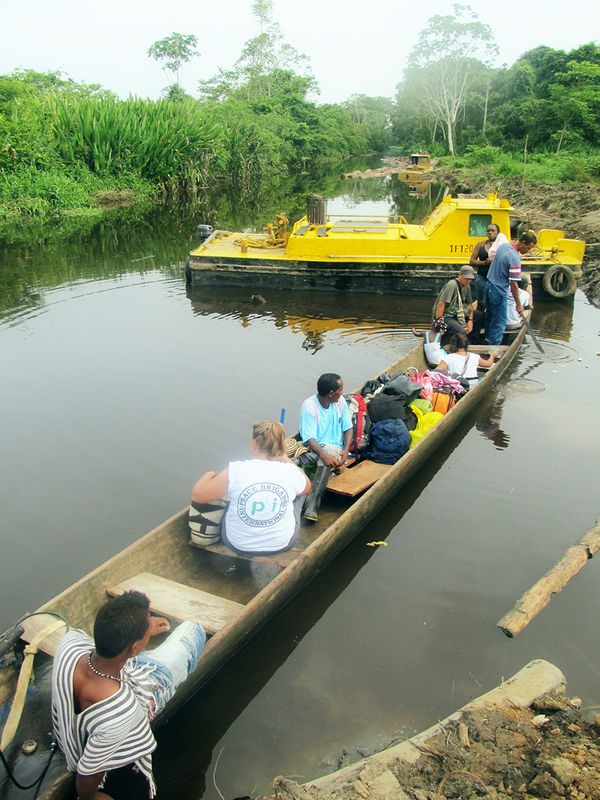 Because of the drought, we had to get off the boat before reaching the community. With so many people, baggage and market bags in a small wooden boat, the river couldn’t carry us any longer. It was time to put on the boots and start walking. Entering Cacarica is not always easy. You have to go by river, first by speedboat and later in a type of wooden boat, or canoe, until you reach the community. Very often, as this time, we end up walking the last bit to reach our destination. Climbing up the riverbank, we ended up under a rose apple tree, waiting for the others and looking for the trail. The tree was well loaded and the fruits became irresistible after many hours of travel. As the Nordic and a bit naïve visitor that I am, I was fascinated by the exotic experience of catching wild fruit in the middle of the jungle, saying happily how nice it would be to live in a place like this. My traveling companion, a woman from the community, looked at me and said in a clear voice that she planted this tree. On that same land where we’re standing was where her farm was before they were displaced. The rose apples had been the pride of the garden. The once well-maintained garden planted with all kinds of plants, surrounded the family’s house in the past, in the beautiful Cacarica. This is just one of the memories of my many visits to the Humanitarian Zones in Cacarica. One of the most beautiful places I’ve ever seen in my life. A place with a biodiversity not found in many other places in the world, with fertile land where everything one sows grows, ancestral land of indigenous and Afro-Colombian communities. Land of suffering and violence, struggle and resistance. In 1997 the communities in Cacarica were displaced in the military operation, with paramilitary collaboration, known as “Operation Genesis”. The 17th Brigade, with jurisdiction throughout the Urabá region, in coordination with the Autodefensas Campesinas de Córdoba y Urabá (ACCU) (the Self-Defense Forces of Córdoba and Urabá), displaced, harassed and terrorized thousands of people. The paramilitaries brutally murdered i the peasant farmer Marino Lopez: they captured him, quartered him and played football with his head, with army troops just a few hundred meters away. They accused Marino of being a guerrilla soldier, although all his life he had lived as a farmer in his community. For four years people lived in inhumane conditions in the Coliseum in Turbo, the closest city to the Cacarica river basin, located in the gulf of Urabá, taking turns to sleep and to eat. During the years of displacement, they organized themselves. People from the communities in Cacarica created the organization CAVIDA (Communities of Self-Determination, Life, Dignity from Cacarica). They returned to their land with national and international support and accompaniment, to an area still controlled by the armed conflict, and instead of returning to their farms, they built the first Humanitarian Zones, as a proposal of return in a pacifist and collective manner, in order to survive as civilians in a conflict zone. For 17 years CAVIDA has been living in the territory, but still without the possibility of returning to their farms. And for 17 years they have lived on their land and fought against the armed groups, multinationals, the state and others interested in forcing them out of their territory again. They have received death threats, suffered economic blockades, displacement, disappearances, and specious prosecutions. In May 2013, on my birthday, PBI accompanied Marco out of the Cacarica River basin because of threats against his life. Marco is one of the leaders of CAVIDA. My birthday this year just passed and Marco is still unable to return. Over a year ago the State approved protection measures for CAVIDA, because of their high-risk situation, so they can more safely travel in the region and be in better communication with the world outside of their community. For more than a year they have been waiting for the implementation of these measures. 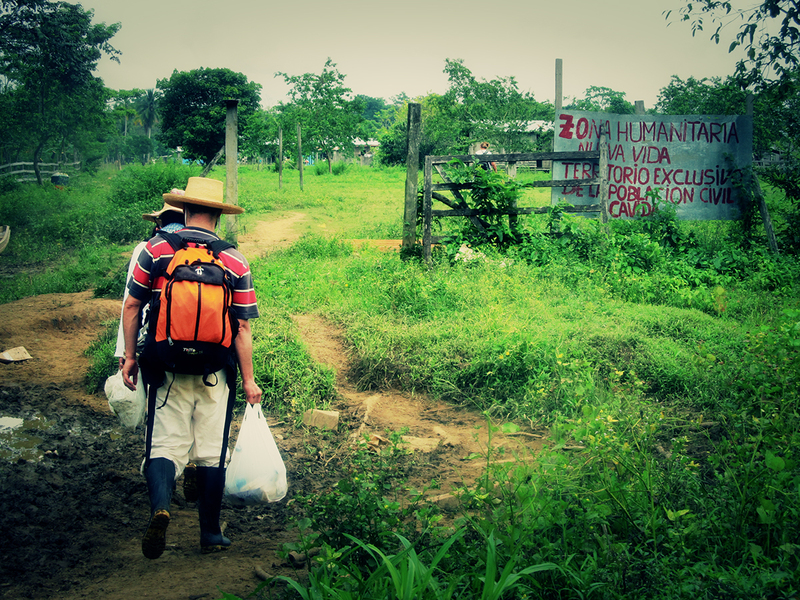 In December 2013, the Inter-American Court of Human Rights (CoIDH) found the Colombian government responsible for having “failed in its duty to ensure not to be forcibly displaced” for the communities in Cacarica, for the lack of protection and for not guaranteeing a safe return. The Court also ruled that the State had collaborated with paramilitary groups; had deprived the communities of their lands in violation of Law 70 of 1993, which protects the ancestral lands of Afro-Colombian communities; and finally, for its responsibility in the cruel acts committed against Marino López. As the first sentence of the CoIDH condemning a state for displacement of an Afro-descendant community, the ruling is symbolic and morally important. The communities in Cacarica continue to serve as an example of resistance and struggle for justice in Colombia. According to the ruling, reparations must be negotiated with the communities. In this context, in February this year, the community presented their proposal for comprehensive reparations to the public and the Colombian government, making clear that reparations are not only a check delivered, says the community, but should, but should to ensure a decent life where people live, I.e. ensuring decent housing, accessible health system, education in the community, psychosocial support, and more. The reparations must be comprehensive, collective and elaborated together with the community. Once more I’m in Cacarica, knowing it’s my last visit as a PBI volunteer. It is my farewell with this beautiful land. The CoIDH ruling represents a hope and an achievement, but the State has been very quiet so far. We know that we all have to advocate for compliance.. At this last visit of mine, people from the communities walked for days up to the Cerro Mocho Mountain, towards the border to Panama, to verify the construction of a bi-national military base. The Colombian army and the Panamanian army have decided it is necessary to build a military base in the collective territory of the Afro-communities in Cacarica, without warning or consulting the communities. A little further south the construction required to complete the Pan-American Highway has begun, making way through the Darien jungle. And in the middle of all this live the people of the communities of Cacarica, live the members of CAVIDA. Communities of resistance, struggle, and peace proposals amidst in a tough violent context, fighting for a decent life, fighting for justice.